Fiona was born in America only to be stolen from her mother’s arms and sold. Fio had her babies stolen from her year after year. 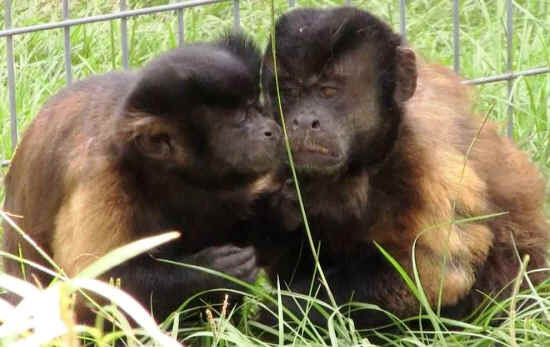 Fortunately fate brought these two monkeys together at Jungle Friends Primate Sanctuary. Goober, who had never met a girl before, was a bit unsure of Fiona’s overtures. But Fio was determined to make her dreams come true! She persisted until Goober gave in to her romantic attentions and was very glad he did!